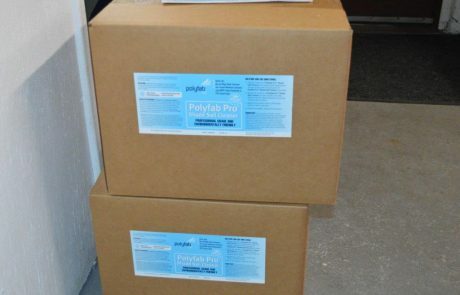 A concentrated, environmentally safe, high-strength cleaner, designed to remove difficult soils from HDPE or vinyl fabrics with minimal effort. 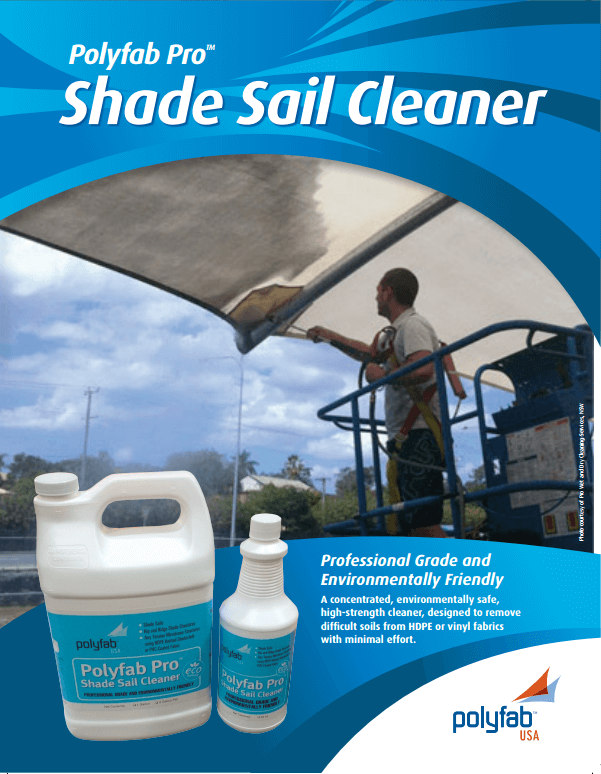 Polyfab USA distributes a premium grade shade sail cleaner to keep your sails looking vibrant all year round. Depending on the degree and type of soiling, method of application, concentration and environmental conditions, you may expect to clean approximately 600 square feet per gallon. 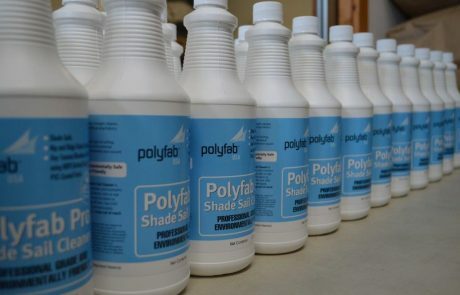 Polyfab ProTM Shade Sail Cleaner may be used for occasional cleaning or contract maintenance of tension shade structures such as hip and ridge and tension membrane shade sails made of HDPE knitted Sailcloth provided by Polyfab USA LLC (or equivalent quality fabric) or PVC coated or laminated fabrics. The finished structure needs to be properly engineered by a professional engineer and installed by a qualified contractor in accordance with local building codes. High pressure water streams are not recommended for HDPE knitted fabric. Available in 32 oz., 1 gallon, 5 gallon and 55 gallon volumes. 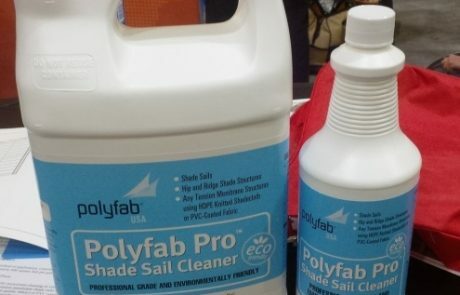 Polyfab ProTM Shade Sail Cleaner is earth and user friendly, non-toxic, biodegradeable, and contains no butyl. To certain sensitive individuals however, skin or eye irritation may exist with exposure. Care should be taken to keep this and all chemicals out of eyes and off skin. See SDS for other precautions and first aid. No GHS phrases apply. Protect from freezing. Rotate stock regularly. Keep out of reach of children. Best if used above 45°. 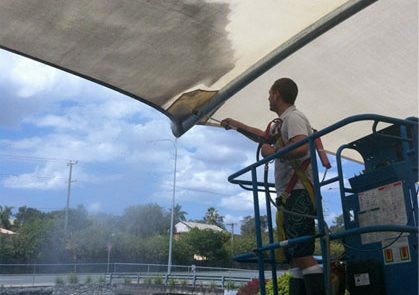 For shade sail cleaner sales in USA, contact a distributor.